Pocket Life is a web and mobile service that offers a seamless, integrated experience for communication, social networking, location based services, street and satellite mapping. Pocket Life was designed around your group of friends, allowing you to communicate and interact in ways never before possible. Seamless synchronisation of the information across web and mobile devices as well as synchronisation across selected social networks is a cornerstone of Pocket Life. You maintain full control of what you share by placing your contacts in Groups and only sharing what you enable with specific Groups. You are able to store and remember your favourite memories, whether this is the spot where you got engaged, your favourite mountain bike trail or even just to keep a record as to how you are progressing on your daily jog. Pocket Life, lives and grows with you. FullScreen Photo Notifications of received messages! Do you feel bored of the received message notifications from Nokia Smartphones? And you would like to have a FullScreen Photo of the sender instead of a small text information? from low-end to high-end fones, as long as it can run java(which supported by almost all handset nowadays). It use little resources so multi-tasking definitely would not be a problem, let's say OperaMini 4.2, Bolt, MobGet all at the same time. The download speed is quite amazing, reaches up to 50kbps or even more if you're on a paid proxy service(PPS). This software was based on a discontinued project from a Russian team. even if you find one, you'll face some compatibility issues. * Download for FREE because it's @trick ready! * Download files from direct links such as geocities, 110mb, or on your own webspace. * Simultaneous downloads, but I suggest you limit it at 5 downloads at a time. * UBT tricks compatible, try to make your own trick. A great application to tune your guitar 'by ear' or in digital manner. This particular digital tuner shows you the complete sound spectral analysis. The sound spectrum gives you information about the real quality of the note played and not simply whether the note is to flat or to sharp. Game's fight intense stimulation, this game character AI design has progresses greatly. From initial “wolf king” to afterward “Zhujiazhuang”, arrives at the big BOSS high Qiu again, the enemy difficulty progressive enhancement, each metamorphosis is intrepid. Wants with ease to overcome an obstacle is not the easy matter. Plays the family to need to try to find out that suits fight skill which one like, experiences definitely to slaughters the pleasant sensation with the enemy. In the fight, after the enemy died, will fall each kind of source material, will play the family to be possible to use these source material to carry on weapon making, will promote gradually in the game. Moreover, the game full of meat plot is unconstrained. The renowned All Men Are Brothers character will present in abundance along with game's progress, the map will be numerous, the duty will be diverse; By in Representative Gao Qiuwei enemy force, not only has the various ranks strong goon, but also has many monsters to guard the door. In addition, does not like the friend who kills, but may also attempt in the game treasure hunt. Each map's each corner, is hiding many god rare treasure box, pleasure which likes friend who treasure hunt to be possible specially to try to treasure hunt. The game on January 4 went on the market in 09 years, is interested to play the family quickly to include it in the pouch, experiences a out of the ordinary All Men Are Brothers world! 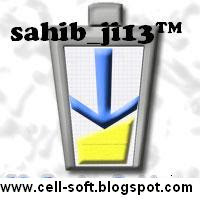 I have got MOBILE SEQURITY with its RARE UPDATE. It will work on s60 & s60 3rd edition mobiles. Communicate in real time with friends who use MSN Messenger whether they're on their computer or mobile phone. Using SmartChat, you can access a full array of instant messaging functions. With SmartChat's Multimedia Messaging enabled, you can take a picture, or even a voice note, and then send it to an email address or another that is Multimedia Messaging-enables. 1. Press left softkey on the main screen app. 2. Press down then enter. 3. Press up then enter. 4. Press right softkey and you will see it in English. MobileTribe lets you organize your world in your pocket from Internet and desktop by blending together popular social and address book communities - Facebook®, MySpace®, Orkut®, Plaxo®, Yahoo® and Google® into one easy-to-use application on your mobile phone. This in combination with inexpensive Voice/SMS at 98% savings and Email capability, greatly enriches the real-time communications between friends to and from anywhere in the world. With the Multimedia feature, you are no longer limited in what you can enjoy and share, you get digital media streaming to your phone from the Internet to the desktop. MobileTribe users can browse their communities, send/receive messages, view and comment on pictures, send/receive SMS, emails, receive alerts and much more! Communicate with multiple social networks from within a single client. Browse your friends, Send/Receive messages, Wall post, Search. Call and SMS your friends globally at huge cost savings. View Your and friends' pictures, post comments. * Socialize with friends on Facebook®, Orkut® and MySpace® from your phone. * Communicate using Yahoo mail and Gmail by selecting your contacts from Plaxo®, Google® and Yahoo®. * View pictures on flickr®, Picasa® and Social Networks. * Call and SMS internationally at savings up to 98% with friends on Social Networks and contacts on Plaxo®, Yahoo® and Google®. * Be reachable globally to friends with no roaming charges. Resco’s News is an excellent RSS reader – I use it every day to stay on top of my news. Its access to RSS feeds scattered all around the Web. Allows you to download and read latest news wherever you are. Resco News reader uses tab-based interface that is easy to use and practical in organizing large amount of information. Three default tabs allow you to set up your information channels, organize them into the categories or subcategories, subscribe the channels you want to use and bookmark the headlines you want to save. You can define also any number of your own tabs. # Bookmark the headlines for later access. The tabs show the headlines. To see the full article, just select it and open. You can define your own tabs, specify various criteria for the channel update, exchange the channels with your friends etc. Note that Resco News comes pre-configured with many popular feeds so that you could start using them right-away. Notes : First Install Resco News 1.24 after that gererate keygen successfull then install resco news 1.25 when ask replace version 1.24 with version 1.25 say o.k your resco news will get full version.